Artists are the minds mirror. They have the gift and ability to reflect the intricacies and intertwined synapses of our mind so vividly. What I like about Salvador Dali is that throughout his life he got influenced by many art movements and expressed each brilliantly. He adapted and changed and grew. This is well reflected in his paintings and expressions. 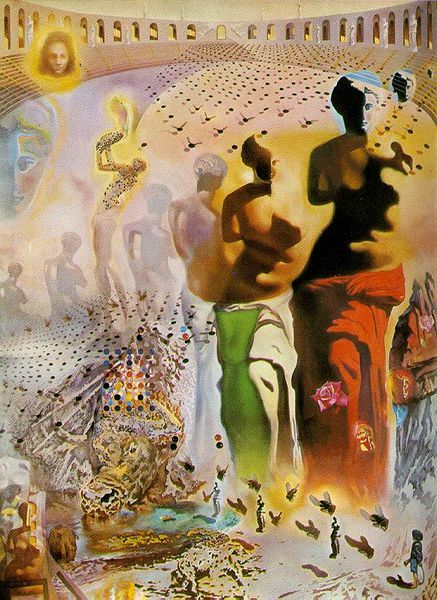 Dali was born in Figueres, Spain on May 11, 1904. In the 1920’s he held one man shows and got recognition for his impressionist paintings. 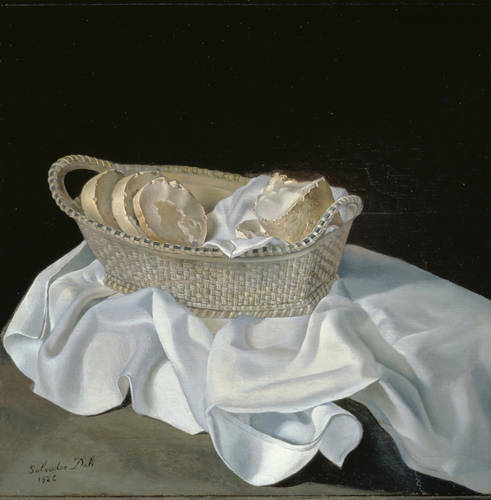 His famous was The Basket of Bread. 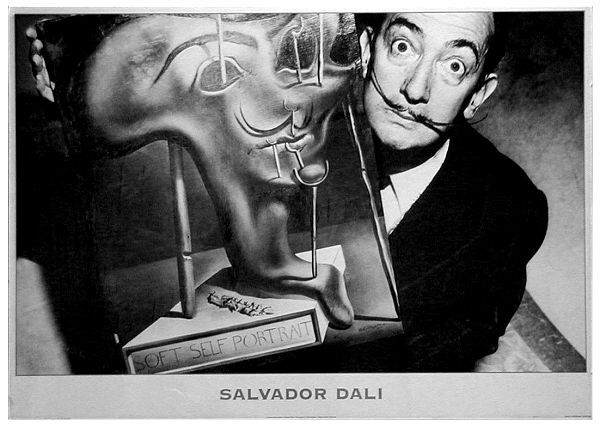 1929 highlights Dali’s connection with the Surrealist Movement . His painting, The Persistence of Memory, with the soft melting watches echo space and time; gentle, bizarre, introverted and dangerous. It is as if time adjusts to the circumstance and envelops its existence around it. Twenty years later in “The Disintegration of the Persistence of Memory” (1952), Dali broke these images. He was fascinated by destructive nature of atomic energy and reflected it in breaking his images as a mere consequence of the knowledge that we possess. By 1940, Dali was moving into a new type of painting with a fixation with science and religion trying to revive the classic period. Among the best known of these works are The Hallucinogenic Toreador. His health deteriorated after the death of his wife and muse in 1982. 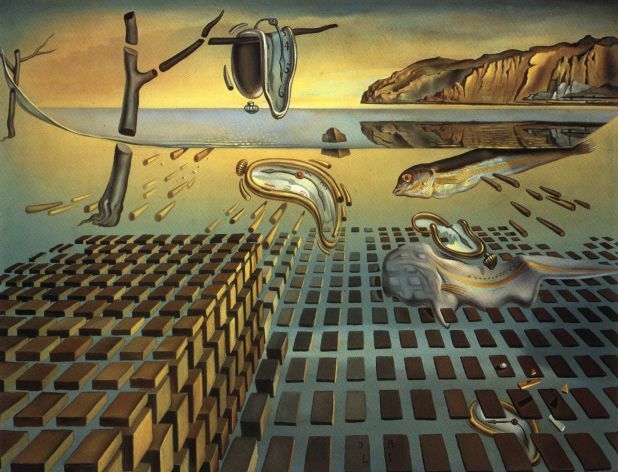 Salvador Dali died on January 23, 1989 in Figueres from heart failure with respiratory complications. 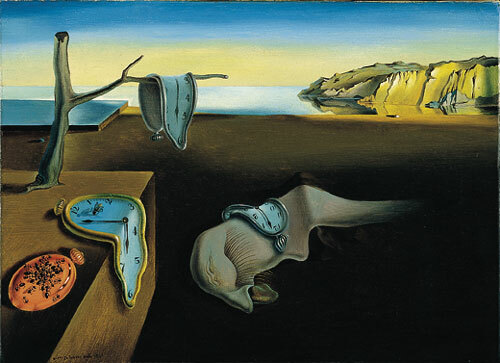 Enjoy more of Dali’s art by clicking here. Try to make it more dynamic. Dry pieces on a blog are not very popular.